Humanity is a very large part of the influence of what I do... not saxophone players, not records. 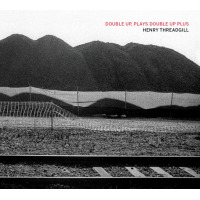 Henry Threadgill isn't hesitant to state his place in music. He has, he said quite plainly, "changed music both horizontally and vertically." His work isn't "strident," he said. "It doesn't strike you. You might think you know what's going on, but try to analyze it." And he states it, perhaps, because no one else will. "There are no scholars trying to analyze what I've done and critics certainly don't know," he said. "Nobody gets reviews so people look at you the same way year after year after year. I could turn into Jesus tomorrow and you wouldn't know it." Threadgill's music over the last decade has grown from the dense, complex compositions of his Very Very Circus -a thick mix of tubas, guitars, drums and horns -to the massive, slowly evolving themes of Make a Move and his current group, Zooid. "We're not improvising on chords, we're improvising on intervals that exist in serial blocks," he said. "The harmony is not what we improvise on. It's almost impossible to tell when the repetition is going to occur. You know it's going on, but you can't predict it." Zooid and Make a Move represent a fascinating progression in the already remarkable career of the saxophonist, flutist and composer, who turns 61 this month. From the rag origins of Air to the brass-heavy Sextett through Very Very Circus, Threadgill has always challenged the jazz tradition. And he has challenged his own bands as well, each one hinting at what the next would become. By the late '70s, Air was touching on the intricate compositions of the Sextett a la 1982's When Was That? The revamped New Air in the '80s (with Pheeroan akLaff filling the late Steve McCall's seat behind the drums) followed the ethereal songwriting for the Sextett. Compare Aisha Putli's vocals on "My Rock" from the Sextett's Easily Slip into Another World to Cassandra Wilson's performance on New Air Show No. 1 , then jump forward to Sentienla Toy's singing on the Very Very Circus disc Carry the Day from 1995. 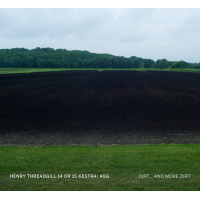 Among other things, Threadgill the songwriter has been discretely inventive. Or Threadgill the composer. After all, to draw connections from one band to the next is simply to draw a picture of the composer, who with Zooid is doing some of the most challenging work of his career. 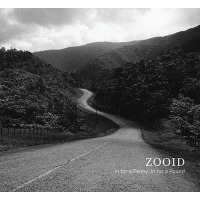 The last time many people heard Zooid was no doubt with the 2001 release of Up Popped the Two Lips , released by Pi Recordings at the same time as the Make a Move album Everybody's Mouth's a Book. 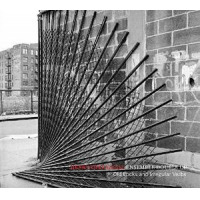 Some of the pieces that had ended up on the Zooid album had been influenced by Make a Move, Threadgill said, and were what he called "transitional," designed to bring the band up to speed and suggesting again the overlaps and continuity of his work. "Make a Move left off where the music evolved to, and Zooid is actually a progression," he said. "I'm using them because I really can't use anyone else. No one else can play the music." Threadgill has lived in Manhattan's East Village for more than three decades, but in recent years has spent much of his time in Goa, India. ("That's my home. That's where I've got my house and land.") As a result, New Yorkers have had less opportunity to see him perform. They'll have the chance this month, however, when Zooid play new and "reworked" material at the Knitting Factory. "I don't play in New York but twice a year," Threadgill said when asked about the new arrangements. "What do you know about something you only heard one time? You get a 45-degree angle on it. You hear it again and you get a 90-degree angle on it. If the foot was at the bottom of the leg, the foot will have to come out the ear. I will not play it until the foot comes out the ear. A real artist does not need to repeat anything." 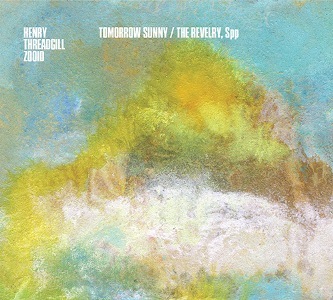 Threadgill has another Zooid release planned, but won't be a CD (as of press time, it will be Henry Threadgill's Zooid: Pop Start the Tape, Stop on Hardedge ). "I'm looking for ways to stay out of the deluge of the mainstream," he said. "I think I'm going back to LPs. I'm never going to find a large amount of people to buy the music, because it isn't for a large amount of people anyway. Nobody can hurt my feelings saying 'you never sold a million records.'" His interest in returning to vinyl is because CDs are so prevalent that good releases get lost in the flood. "I'm scared to come out of the house because I think someone's going to give me a CD," he said. "I've never had so much recorded music that I didn't pay for in my life. And what happens when something gets oversaturated? The quality completely sinks," Threadgill said. Young musicians aren't pushing the boundaries, he said. They haven't "tapped into a vein that takes music into a different direction. "If anybody is, I'd like to hear it," he said. "I haven't heard anybody open up the door. If they strike a vein and it's real gold, not fool's gold, I want to be there. When Charlie Parker opened up the door, it was clear there was a hallway."